Your smart phone is your key, never worry about forgetting keys again. 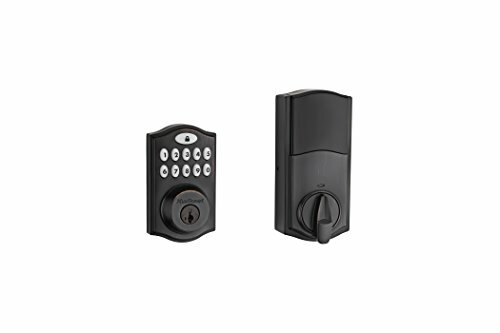 Lock and unlock without the hassle of keys with this beautifully designed touch screen keyless smart door lock. Bluetooth 4.0ble low energy technology effectively reduces unlock time and without any obstructions, it can range up to 10 meters. TT lock app for ISO 4+ and Android 5.0+. You can unlock the door just open the app and touch the digital panel. Unlimited smart phone users can be added. This function allows the user to type in any number of random digits, and can still gain access as long as the correct password is embedded in the longer set of numbers. It ensures that strangers can’t steal your password by looking at you nearby when you type the password. With a unique key for each user, you will always know who entered, when and how, all records of opening will be sent to the administrator’s TT LOCK APP. Permanent code, time-limited code, one-time code. Share codes with regular guests or visitors anytime anywhere. Perfect for time-share, vacation rentals, tenants, etc. You can share codes via Facebook, Messenger and WhatsApp. Easy to install and can be installed in a few minutes.We have the installation videos for reference. 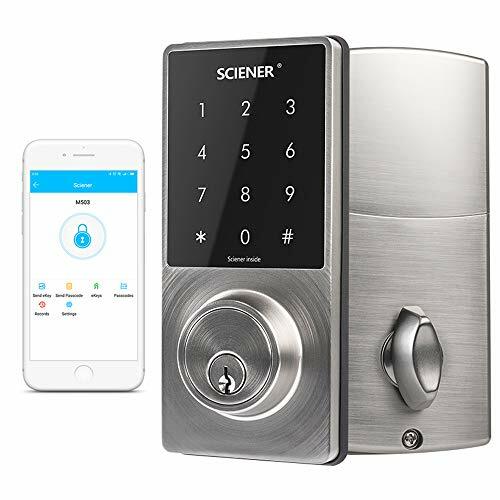 Sciener keyless smart lever door lock brings you maximum reliable security and convenience. You will never be locked out again! 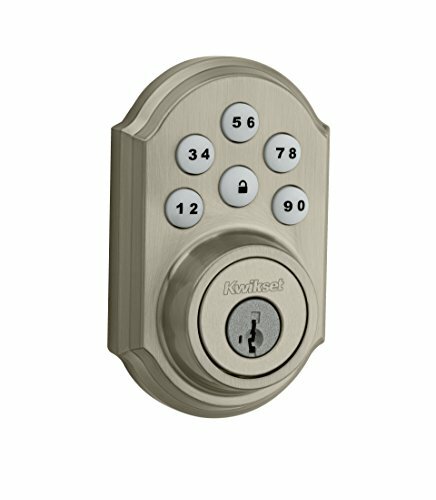 3-in-1 KEYLESS ENTRY SMART LOCK: Smartphone + Code + Mechanical Key.Unlock and lock the door using the touchscreen keypad and your digit pin code. Just press the # key long enough to lock the door. 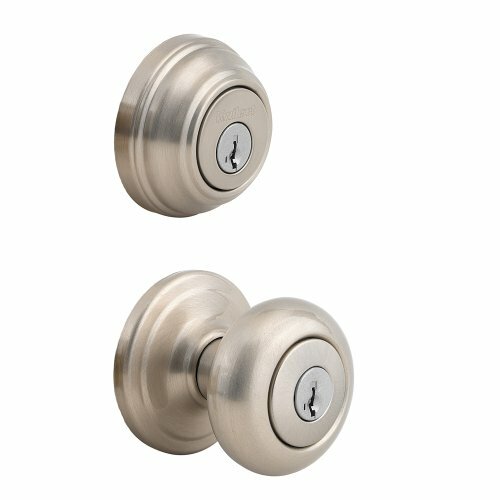 EASY TO INSTALL:Works with most standard doors.No wiring. No drilling. It only takes a screwdriver and minutes to bring unmatched security, style and convenience to your door. 3 TYPES OF CODES: Permanent+ Time-limited+ One-time. HOME SECURITY SYSTEM: You can see who entered, when and how through the administrator’s TT LOCK APP. And you can share codes via Facebook, Messenger and WhatsApp. BATTERY DEAD ALARM AND EMERGENCY POWER SUPPLY: If the batteries are running low, the door lock informs you through a specific melody. If you forget to replace the batteries before they are fully discharged, you can open the door with a 6V battery on the instant battery charging terminal.